Rocksteady has released a new video for Batman: Arkham Knight dissecting the new designs of Batman, Scarecrow, and the Arkham Knight. 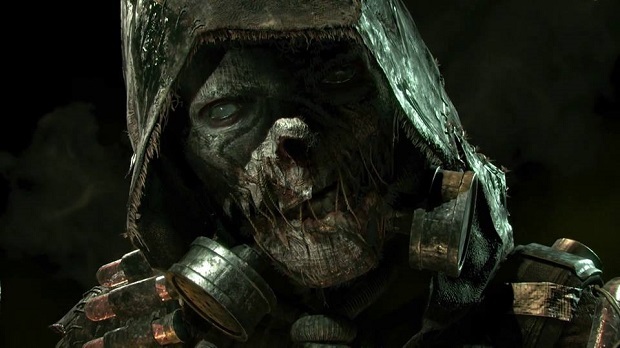 In the latest Arkham Insider, Lead Character Designer Albert Feliu Gomis explains each character’s role in Arkham Knight, and how their in-world responsibilities informed the design of the character. Arkham Knight is coming to PC, PlayStation 4, and Xbox One on June 23rd. Rocksteady recently revealed that there will be multiple playable characters in the game that players will be able to switch between on the fly. Along with revealing some of Arkham Knight’s new features, Rocksteady has revealed that Batman’s latest outing will have a $40 season pass containing new story content and playable characters.